I wish you could see it! Well, I guess, since I refer to myself as a photographer, you could see if if I provide you with pictures. Anyway, our new kitchen (in the addition) is really looking like and being used as a kitchen now!!! 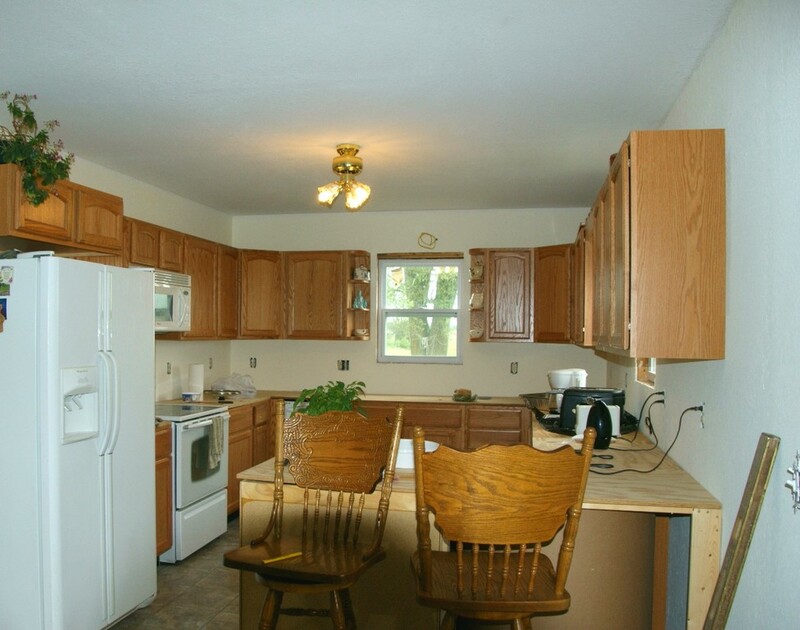 We've got the cabinets, stove, refrigerator, and dishwasher in there. We just don't have counter tops or a sink yet. We certainly can't afford counter tops. So, we just have plywood there for now, because we're going to have to save towards counter tops. However, I've been looking at Mr. Direct stainless steel sinks, and based on their low prices, I've realized that we can afford to get a sink now. They even have same day shipping, which means I could have a working sink in the almost-done kitchen in no time! O.K., I had to interrupt this post, get up, grab the camera, and take a photo of the kitchen for you. I absolutely love it, and I'm so proud of all the work Hubs has done! Look at all the cabinet space! WOW! The little corner shelves next to the window are SO cute! It's pretty already and it's going to be beautiful and perfect when it's done! I'm SO happy for you!!!! That kitchen looks pretty darned good to me and stainless steel sinks just can't be beat!